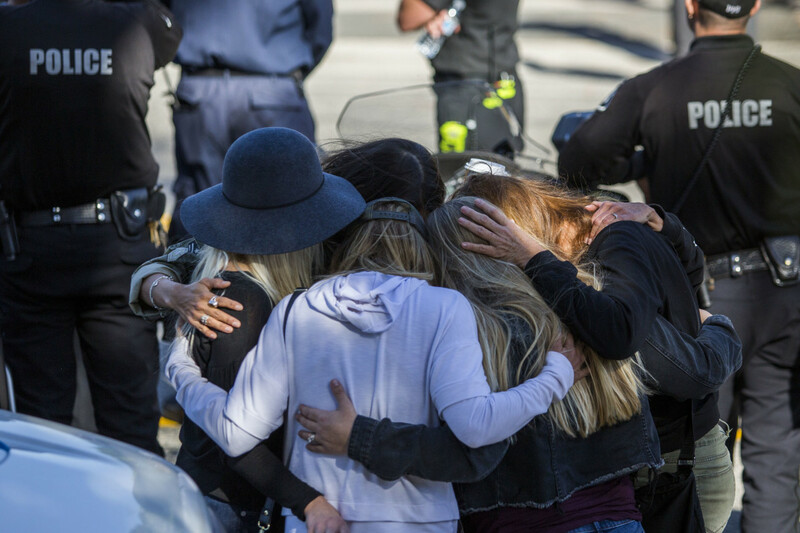 Friends hug outside the Los Robles Medical Center in Thousands Oaks, California, on November 8th, 2018, as they pay tribute to Ventura Country Sheriff&apos;s Sergeant Ron Helus, who was killed in a shooting at Borderline Bar & Grill the night before. After a gunman opened fire at a bar Wednesday in Thousand Oaks, California, killing 12 people, the community is struggling to cope in the aftermath. Wednesdays are "college country nights" at the Borderline Bar & Grill, popular with students from California Lutheran University and other nearby universities. On the night of November 7th, hundreds had gathered for country music and line-dancing. 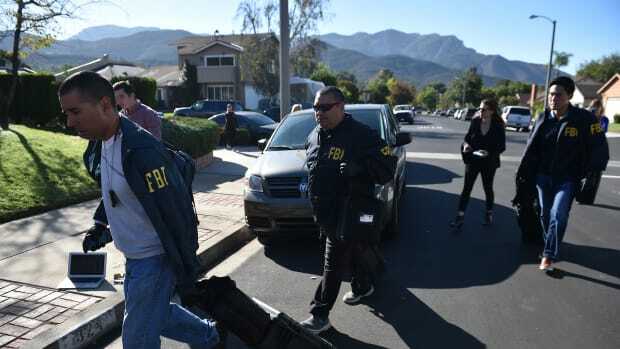 Two students were celebrating their 21st birthdays; at least five from California State University–Channel Islands were present, according to a university statement, and 20 from Pepperdine University, the school&apos;s newspaper reports. Around midnight, survivors said they heard the first shots over the music. People took cover or climbed out the bar&apos;s windows as the shooter, identified by the Associated Press as 28-year-old Marines veteran Ian David Long, fired from a .45-caliber handgun. Authorities say they have no information about the shooter&apos;s motive. 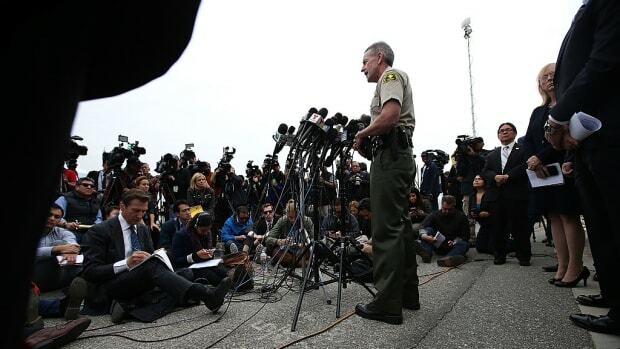 "It&apos;s a horrific scene in there," Ventura County Sheriff Geoff Dean told the Los Angeles Times. As the thousands of Americans who have been impacted by mass shootings know, the horror extends well beyond the scene. In the tragedy&apos;s aftermath, survivors of mass shootings often struggle with anxiety, depression, and difficulty sleeping. Studies also show that some face long-term psychological effects, such as post-traumatic stress disorder (PTSD). After shootings like this one, here&apos;s what research can tell us about effects on mental health—and the best ways to support survivors. Research shows that people who have already experienced some trauma have a greater risk of long-term mental-health problems after mass shootings. 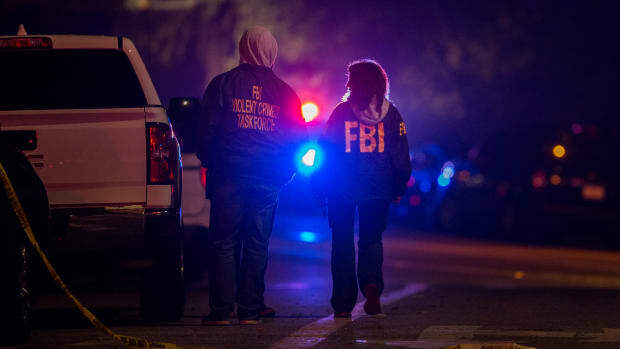 With more than 300 mass shootings already this year, according to the Gun Violence Archive, the whole country has experienced some kind of repeat exposure; even people not present at shootings can experience these effects, as studies in the aftermath of 9/11 have found. In Thousand Oaks, this was even more palpable: According to the New York Times, several people at the club also survived the 2017 Las Vegas shooting, in what reports have called an "eerie parallel." Long-term effects of this exposure include post-traumatic stress disorder, which is sometimes tied to depression and substance abuse. According to a Substance Abuse and Mental Health Services Administration report, most survivors do not experience these symptoms years out. But those who do are typically lower income or less educated, with limited access to mental-health resources—and, often, they&apos;re victims of prior trauma. A 2017 meta-analysis of 49 studies on 19 different mass shootings found that women are also more likely to experience PTSD after shootings; it&apos;s actually the strongest predictor of all the demographic factors, researchers say. There are a few explanations for this: "It may be that women are more likely to have had multiple forms of trauma exposure—perhaps the survivor had also experienced sexual assault previously in her life—and faced additional trauma in the shooting," study author Sarah Lowe, assistant psychology professor at Montclair State University, told the American Psychological Association. For example, a 2012 study found that, among female survivors of the Virginia Tech shooting, those who experienced "sexual victimization" before the event were at greater risk for mental-health problems a year later. Recent shootings and a groundswell of gun-reform activism from Parkland, Florida, high school survivors has made gun violence, increasingly, a youth issue. This is also true from a psychological standpoint: Both younger and older survivors have higher risk of developing PSTD from shootings than middle-aged people; this includes college students, studies have found. However, research also suggests that people with support systems—families or networks on college campuses—face better mental-health outcomes. 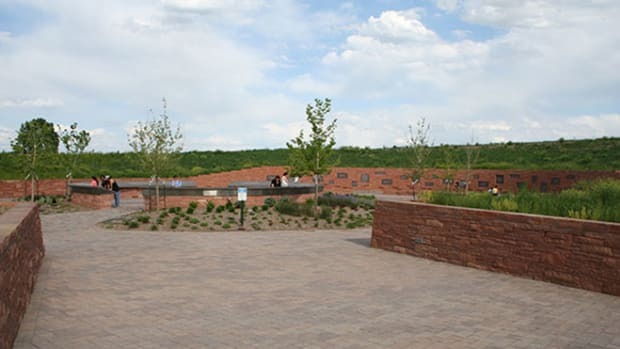 Since these students often experience shared trauma, they have access to community-wide resources and interventions that make it easier for individual victims to seek help. A 2015 study found that this effect increased with the severity of the trauma, which is unfortunately becoming a familiar reality for many, including those in Thousand Oaks. In the hours after the shooting at Borderline, students who were not at the bar offered rides to those affected. Several universities canceled classes or offered prayer services on Thursday, and students have tried to track down one student from Pepperdine who&apos;s been reported missing, the Sacramento Bee reports. "It&apos;s thrown everyone off. Pepperdine is a pretty small community, a pretty sheltered community," Madeleine Carr, editor of Pepperdine&apos;s Graphic paper, said in an interview with CNN. "It&apos;s one of those events where it&apos;s hard to rationalize it happening to you." Emily Moon is an editorial fellow at Pacific Standard. Previously she worked at the Chicago Sun-Times and the Herald-Times in Bloomington, Indiana. She is a graduate of Northwestern University. A new study finds that a quarter of undocumented Mexican immigrants are at risk for mental-health disorders. 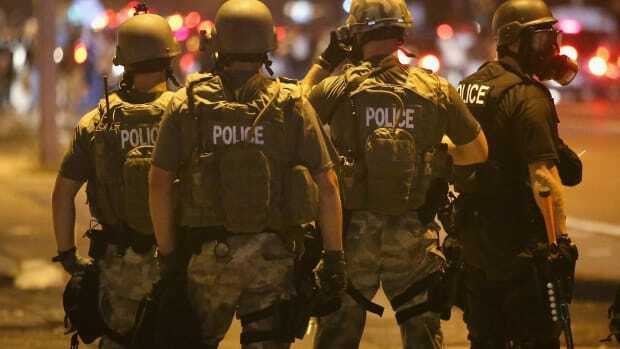 A new study shows that exposure to police violence is linked with negative mental-health outcomes. The first step in stopping future mass shootings is figuring out what we know and working from there. Unfortunately, the real first step is getting rid of a bunch of stuff we "know" that turns out to be wrong.